Damian Lillard and the Blazers face Russell Westbrook and the Thunder. That could change on Sunday (Monday, Manila time). 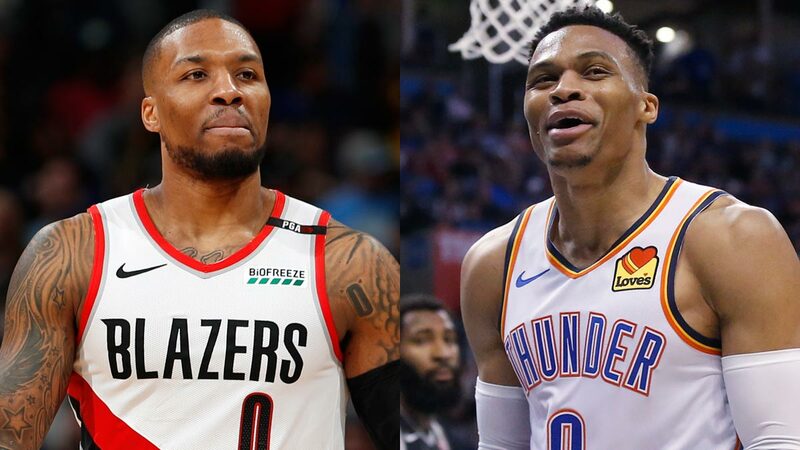 The Thunder beat the Blazers in all four meetings this season, including a heated 129-121 overtime victory on March 7 that has spurred some of the rivalry talk. "Every time we've played them over the years, it's pretty much been a war — physical, close games, chippy," Lillard said afterward. "This one was no different." GEORGE'S SHOULDER: Paul George is nursing a sore right shoulder and is considered day-to-day for Sunday's game. The All-Star forward missed the Thunder' regular-season finale Wednesday at Milwaukee because of the nagging injury, which also kept him out of games on Feb. 28, March 2 and March 3. He hit a winning 3-pointer on Tuesday against Houston but aggravated his shoulder. CJ'S READY: McCollum missed 10 games with a left knee strain and had only played in two games since returning. But he said he's ready to put in a full shift. NO NURK: The Blazers' hopes for success in the playoffs were dealt a blow last month when Nurkic was lost for the season with a broken left leg. Nurkic was averaging 15.6 points and 10.4 rebounds when he sustained the gruesome injury during a game against the Brooklyn Nets. PICKING THE THUNDER? Lillard, who averaged nearly 26 points a game during the regular season, was asked if the fact that many national outlets favored the Thunder in the series gave the Blazers extra incentive. UP NEXT: Game Two is set for Tuesday night at the Moda Center.